Wake Forest University ranks third among doctoral U.S. colleges and universities in the percentage of students studying abroad, according to the Open Doors report recently published by the Institute of International Education (IIE). According to the IIEs methodology, 63 percent of Wake Forest undergraduates received credit for study abroad in the 2012-2013 academic year, with students spending anywhere from a few weeks to a summer to a full academic year studying in countries around the world. The University, ranked tenth in last year’s report, jumped seven positions. 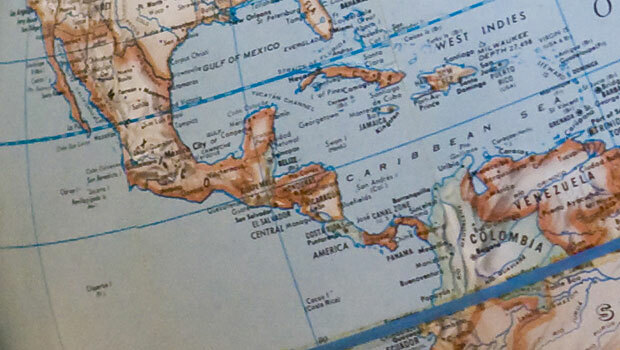 Wake Forest students have access to study in 207 foreign cities in 70 countries. These programs have challenging coursework and many have opportunities for internships, field study, independent research, language partnerships, community service, organized group excursions and personal travel. The University offers a unique Cross-Cultural Engagement Program to prepare students for the abroad experience. The first class offers pre-departure preparatory sessions to help students know what to expect while living in another country – from cultural etiquette to homesickness. The second is a class during their travels. When students return to campus, they can enroll in a third course that helps them understand what skills they acquired and how they can be applied to their lives going forward. No other U.S. college or university is known to offer three credit-bearing courses to support international experiences. To help faculty who want to lead an overseas program as part of a course but are unfamiliar with the process, the University works with them. The Center for Global Programs and Studies and the Teaching and Learning Center provide additional resources. Because of this support, opportunities for short-term study abroad are increasing as faculty include week-long travel opportunities in their courses that take advantage of spring or winter academic breaks. Nationally, Wake Forest’s WISE Conference has become the premier opportunity for faculty and administrators to learn how to prepare students to get the most from their international travel. In May of 2014, Wake Forest University pledged to join the Institute of International Education (IIE)’s Generation Study Abroad initiative to double the number of American students who study abroad by the end of the decade. Wake Forest has committed to increasing the number of students who study abroad by aiming to achieve a 75 percent participation rate over the next five years. “Our goal is ambitious, but we have a clear plan in place to address the personal, financial and academic limitations that too often constrain students from undertaking these important experiences,” says David Taylor, director of Global Abroad Programs. “Wake Will: The Campaign for Wake Forest,” has raised more than $3 million for study abroad scholarships and to help the University meet its commitment to increasing the number of students who study abroad by opening new Wake Forest semester and short-term programs; creating targeted study abroad scholarships for underrepresented populations; and expanding the Magnolia Abroad Access Program (MAAP) to provide support for all first-generation college students.